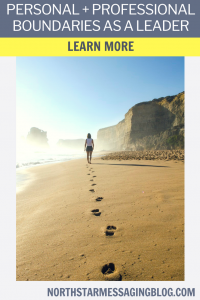 In order to create the positive change and forward momentum we want to see in the world and the people in our sphere of influence, we can’t hide behind “shoulds” and false images. The more we embrace our stories, our realness, and our values, the more we’re able to create positive impact. 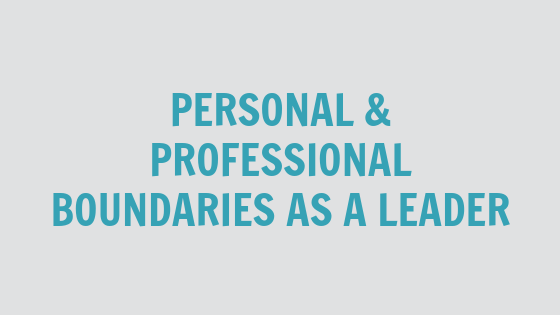 Which is why we talk in this episode all about finding our personal and professional boundaries as leaders. Do we have a responsibility to share our beliefs or do we stay silent? When we come from a place of integrity and check in with our core values, can we discover a balance? We also discuss the the fact that we cannot please everyone. Our truth is our truth, but there is a lot to be said about context and assumptions. 00:00 – 1:32: Welcome and Introduction! 1:32 – 10:45: As a leader, do you have a responsibility to discuss current events, politics, religion, etc.? 10:45 – 20:12: Navigating debates and your beliefs. 20:12 – 24:45: The importance of a “call to action”. 24:45 – 39:00: Practicing the 80/20 rule: as a leader you share 80% content, 20% personal. 39:00 – 43:12: Recognizing the fact that you cannot please everyone. 43:12 – 50:50: The importance of context and assumptions. 50:50-51:54: Finishing thoughts and wrap-up! Want to catch the Leadership Forum when it goes live? Head on over to the Thought Leaders Think Tank on Facebook and request to join.